Do not scrub or attempt to clean the tooth, but place it in a glass of milk if possible, or glass of water, which is second best. See a dentist immediately. Sometimes, if the tooth is placed back in its socket soon enough by your dentist, the tooth can be saved. Time is critical in this situation! Remove the fractured piece to prevent choking and don’t chew on anything hard. Call your dentist immediately. Some teeth can be filled. More severe cases may need to be crowned. If the tooth has broken into the nerve the tooth will need Root Canal Therapy and a Crown, or it will need to be extracted. If you were hit by an object, call your dentist immediately. Depending on the severity of the blow, your dentist may let the tooth “tighten-up” on its own, or your dentist may bond the tooth to the uninjured teeth next to it for support until it heals. The tooth may turn dark and/or abscess after an accident. That may happen immediately, or it could be years later. If the tooth does eventually abscess, it will require Extraction or Root Canal Therapy and a Crown just like any other abscessed tooth. Apply pressure to stop or slow the bleeding. If the wound is severe or doesn’t stop bleeding, call your dentist or go to the Emergency Room at the hospital immediately. The wound may require stitches to stop the bleeding, prevent infection and to help it properly heal. "You need to consider a few things when choosing an emergency dentist. Expertise in tooth care is essential. 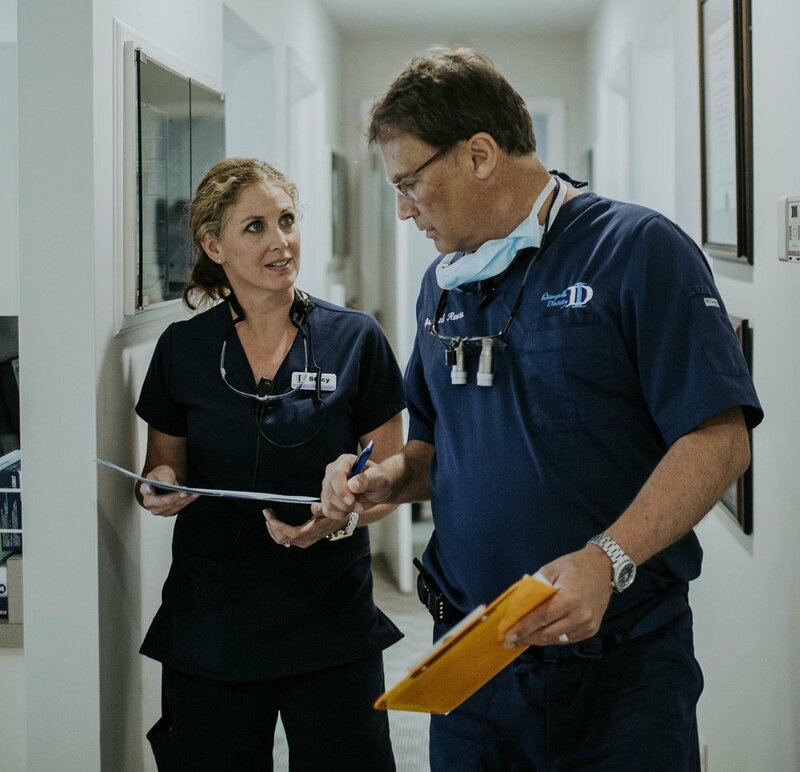 From tooth trauma, abscess and post-surgery complications, he should be able to have enough experience and knowledge in treating a variety of dental problems. It would also be a great plus if he can relay what was done during emergency treatment to your primary or family dentist to ensure continuity of care. Reliability is also important. " If you have a health emergency, call 911.